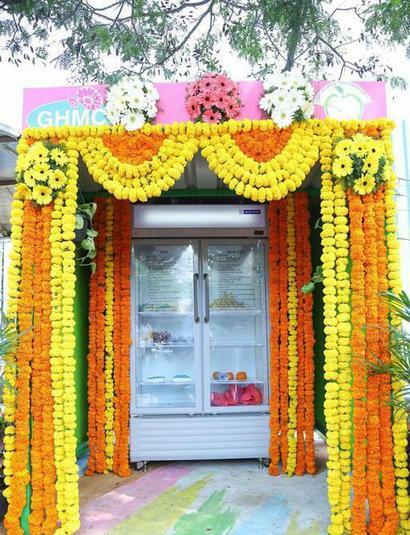 The Greater Hyderabad Municipal Corporation (GHMC) in partnership with Apple Home NGO has set up ‘Feed the Need’ public refrigerators at three junctions in the city. The main purpose of this initiative is to feed the ones who are hungry on roads. Any person who has an excess of food and wishes to donate can leave food in these fridges. The ones who are hungry can walk up to these refrigerators and take the food for free. This will reduce food wastage and also feed whoever is hungry. The centers have been launched at Shilparamam Junction, near Madhapur and near Chiranjeevi blood bank. Apple home NGO will maintain and ensure that no stale food is left in the refrigerators. GHMC is planning to set up ten more centers across the city.